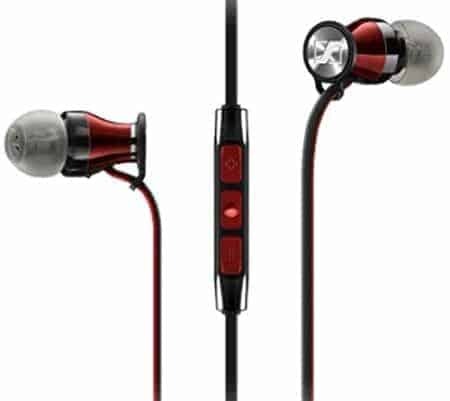 While these are often unfairly criticized for lacking the power or depth of larger earcup-style headsets, earbuds offer some flexibility that their larger brethren just can’t compete with. This doesn’t mean you have to accept anything less than the best audio quality though: we’ve done some thorough research and rounded up the best gaming earbuds available in 2019, so that you can make an informed decision about which is best for your needs and budget. So without any further ado, here is the ultimate list of the best gaming earbuds right now! Over the past few years we’ve seen mobile gaming explode into the mainstream. Nintendo launched the Switch, traditional handheld consoles continue to sell in their millions each year, and there have even been some incredibly popular mobile games like Pokemon Go. In short, more and more people are looking for headphones that they can use to game on the move. Earbuds are a popular choice – they’re smaller and more portable than over-ear headphones, but the problem is not all models are worth their price. Before we get down to our product reviews, we’d like to take a second to talk a little bit about earbuds. They’re deceptively simple, and a lot of people think that because they’re so small, there aren’t that many differences between different products. The truth is that there are a number of different things which separate a high-quality pair of earbuds from the pairs you’ll find at a dollar store. To help clear things up, we’ve created a short guide explaining some of the things you should look out for before buying a new pair of earbuds. 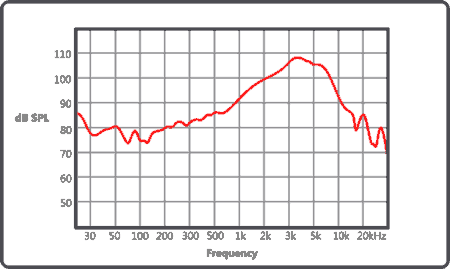 Sample frequency response graph – this shows a strong mid-range with balanced bass and treble. Most pairs of earbuds that cost $20 or more will list their frequency response somewhere on the packaging. So what does this actually mean? Well, simply put, this shows you the range of sounds that the earbuds can reproduce accurately and without distortion. 20Hz – 20kHz is a fairly standard frequency response (this is also the range of human hearing for most people) but a wider range doesn’t automatically mean a better product. There are a number of other factors including the earbud’s sound profile, impedance, and drivers that all impact the quality of the audio. For this reason, we recommend trying out earbuds for yourself wherever possible. When someone talks about the sound profile of a product, they’re talking about the way that they reproduce audio. For example, if you had a pair of earbuds that had large drivers and really emphasized the lower frequencies, you could say that they had a bass-heavy sound profile. The products that perform best usually have a very balanced profile that doesn’t lean too heavily at either end of the spectrum. Ideally, you’d want strong bass and strong treble with a solid middle ground in between so that no sounds get drowned out. Simple, right? Unfortunately, there’s no real way to find out about a product’s profile without listening to them, so it pays to do your due diligence – ask around, try to find videos of the product playing music, maybe even take a trip to a store that sells them. If it saves you from purchasing a lackluster pair of earbuds, it’s well worth doing. We’ve all had that one terrible pair of headphones, right? You’re trying to listen to music but the sound keeps leaking out and letting everyone around you know about your secret glam rock obsession? Maybe it’s the other way around – you’re trying to get some work done but even though your headphones are on, you can still hear everything going on around you. There are two ways earbuds can deal with this. They can be either noise isolating or noise cancelling. Basically, noise isolating headphones create a tighter seal in your ear. This helps keep the sound from your music in, and the sound from the outside world out. Noise cancelling headphones, on the other hand, use a microphone to listen to the noise around you. It all gets very technical, but essentially they apply the opposite audio signal to the sounds that you hear in your ears. This effectively cancels out the external noise and delivers only the audio that you wanted to hear. Because of all the additional software and tech that goes into the earbuds, they’re usually a bit more expensive than noise isolating ones, but if you can’t afford any distractions, they could be a good idea. Let us share a secret with you: there’s a difference between cheap earbuds and budget earbuds. So what is it? 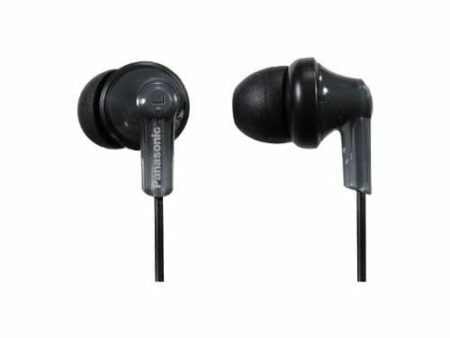 Cheap earbuds are designed for people who don’t care about audio quality, whereas budget earbuds represent actual quantifiable value for money. Sure, you might be able to pick up a pair of earbuds for a couple of dollars but more often not they’ll sound terrible and break in a few weeks. Conversely, all of the earbuds below are available for under $20 and excel in their price bracket. The first earbuds we’ll be looking at have an unusual name and an even more unusual appearance. 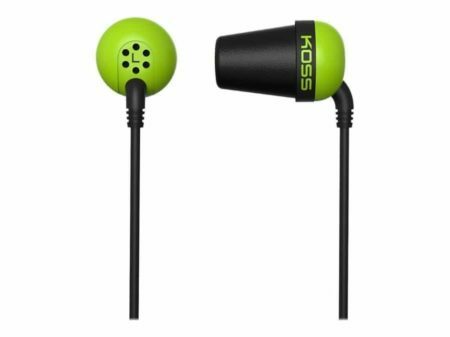 Koss The Plug earbuds are conical in shape, designed to get a good, solid seal without the need for several different sizes of silicone tips. They come with memory foam padding and additional covers, but they definitely have a sweet spot: too loose and you won’t get a good seal, too tight and they become uncomfortable to wear. This model has a slightly higher frequency range than our other budget picks, but only by ten hertz (10Hz-20kHz). It does have volume on its side, though. These earbuds are capable of putting out 112dB, but we wouldn’t recommend it. It has a pleasing sound profile, with fairly even highs and lows and none of the tinny-sounding audio that many of its lower cost rivals have. Next up we have the Phillips SHE3590BK/28. These are earbuds with a nice, simple design and as a bonus, they come in a selection of seven colours. Of course, the important thing is how they sound and we’re pleased to announce that you have nothing to worry about in that regard. These earbuds have a very strong mid-range and exceptional high-end. The bass is a little more muted, but still punchy enough to breathe life into your favourite tracks. There’s no microphone or inline controls present but you really wouldn’t want to be relying on a mic for chatting with your team mates at this price range. When you’re spending less than $20, the last thing you want is for some of that money to go on a sub-par mic. Finally, we have the Panasonic ErgoFit RP-HJE120. While the shiny hard plastic appearance of these earbuds leaves something to be desired, they come in nine different colours and hold up very well in spite of their budget-friendly price tag. The lower frequencies are a little underwhelming during bass-heavy tracks but the treble is crystal clear and yet never drowns out anything in the mid-range. Our only real complaint is that the cable is very thin and doesn’t seem as though it’d take much punishment before it began to fray. It does end in an L-shaped connector though. This not only helps prevent damage caused by excessive pressure on the jack, but it also means that the cable will fit more naturally into the controller of a games console. Both this model and the Phillips have a pretty standard frequency response of 20Hz – 20kHz, but really, at this price range, you can’t complain too much. If you’ve got a little more room in budget, you might be able to benefit from the increased audio quality available from one of our mid-budget picks. We’ve got three great pairs of earbuds here, all of which offer exceptional sound and best of all, they all cost less than $70. Without further ado, let’s jump right in. First up, we have the Sennheiser CX 5.00G. These earbuds actually come in two colors (black and white), and have specific variants based on whether you’ll be using an Android or iOS based device. This is because this model features a three-button inline controller as well as a basic microphone. We were very impressed by the appearance of this product: the earbuds look far more expensive than they actually are, thanks to the premium-looking aluminium casing. You get what you pay for, right? Actually, these earbuds have a sound quality that far surpasses what you might expect from a product in this price range. Music comes across rich and full of life with bright highs and smooth, powerful lows. Obviously, the bass is less emphatic than on more expensive headsets, but we found that while it doesn’t overwhelm the music, these earbuds actually have quite a nice balance. Our second mid-budget choice is the TaoTronics TT-EP01. These are some of the only noise-cancelling headphones under $40 that actually sound good, and on top of that, they look absolutely fantastic. 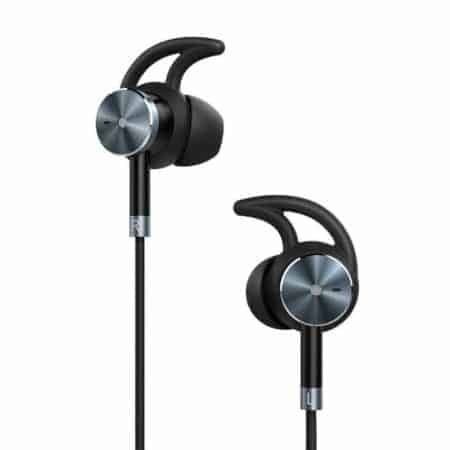 They have a black plastic and brushed aluminium design, and they even come with earwings to help keep the earbuds in place as you move. There’s also a three-button inline controller with a microphone, however the real star here is the audio: the TT-EP01s do a great job of providing premium audio at a relatively low price point. Again, the TT-EP01s have a relatively balanced sound profile, except they’re a little bottom-heavy. That’s not to say that they have window-shattering bass, but they definitely perform better on songs with a strong beat. The noise cancellation works great and can be turned on via its own button, although particularly loud sounds will still be able to sneak through. For this reason, this model is better suited to gaming at home than say, office work. 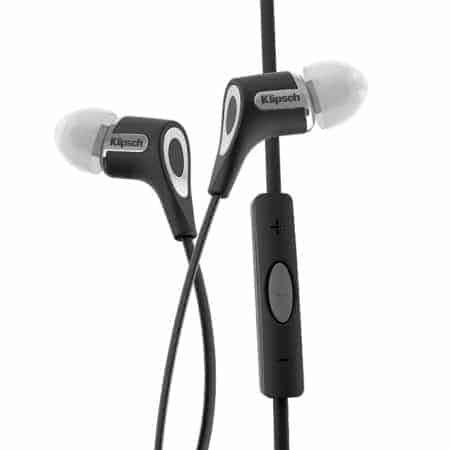 Last but not least, we have the Klispch R6i. These have a very simplistic design, but since the casing is made of plastic (it comes in black or white variants), Klispch could afford to spend a little more on the audio side of things. This shows: these earbuds have a bright, natural sound that breathes new life into acoustic tracks. Different instruments stay clearly discernible even at high volumes and there’s very little distortion. The only real issue we found with this model is its cable. It’s pretty wide and coated with rubber which makes it prone to tangling. It does come with a cable clip to help you minimize this, but it’s still pretty annoying. That said, for under $70, the sound on these earbuds is very impressive. If appearance isn’t all that important to you, there’s a lot to be said for the R6i. The thing that separates a good pair of gaming earbuds from a great pair is the microphone. There are a ton of products out there with what could be considered a standard mic. However, we know that for you, “good enough” just isn’t good enough. That’s why we’ve found three pairs of earbuds that have microphones that really set them apart from the crowd. They excel in the high ranges – vocals and strings are particularly striking – however, the bass tones are ever so slightly dulled. The controls provided are fairly basic: just a play/pause button and a rocker button that controls volume. There are both Android and iOS versions available, so you’ll have to make sure you choose the right one. The inline microphone is of above average quality and transmits your voice pretty well, though. There’s little of the distortion or crackling that inline microphones are known for, so it’s more than capable of being used in a game. Each earbud has its own cable, and they’re nicely spaced out to minimize the risk of tangling, which is great. The Sennheiser Momentum earbuds are significantly more expensive than any product we’ve seen so far (they costs around $90), but with good reason. Simply put, they’re fantastic for music and the built-in microphone is worth mentioning too. They have a wide, open soundstage that allows bass to really hit home without drowning out the high notes. That’s not all: there’s no noticeable distortion at higher volumes, so if you’re the type of person that likes your music loud, these are perfect. They’re easy to use, too! This model comes in two colors, either black and red or black and chrome. The inline controls are color-coordinated and it’s easy to tell which of its three buttons your finger is on thanks to the raised outline on each one. The mic delivers crystal clear audio, which is no surprise seeing as Sennheiser makes high-quality mics and speakers. The Momentum In Ears are very versatile, so If you can squeeze these into your budget, they’re well worth it. The 1MORE Triple Driver In-Ears are everything you could hope for from an inexpensive pair of earbuds. They have a nice, warm sound profile that excels in the mid-range while providing a very slight boost to the lower frequencies. Then there’s that extra driver: it allows you to produce very loud music while also keeping it distortion free. The cable leading up to the splitter is fabric coated for added durability, but the individual earbud cables are coated in plastic. This is a minor annoyance, but not one that impacts the audio quality. The inline controls feel a little cheap, which is a real shame considering how often most people use them. This model’s microphone is great, though, and doesn’t seem to pick up too much external noise. Look, we’ve all been there. You’re in the heat of a frantic game and you get all tangled up. Your headphones get caught on your controller charging cable or you find yourself constantly readjusting them to get a better fit. Well, you don’t have to put up with this any longer. We’ve found three of the best pairs of wireless earbuds available so that this never happens again. First up we have the BeatX wireless earbuds. 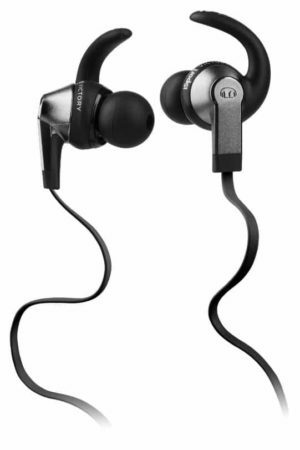 Like all Beats headphones, these are fairly expensive at around $150. The sound quality is excellent, though, and makes up for the increased price. So how does it sound? It’s fairly well balanced across all frequency ranges, and although the highs aren’t as crisp as we’d have liked, these are definitely solid performers. They have a very quick charging time, though. A five-minute charge provides around two hours of playback, and a full charge offers up to eight hours of continuous usage. Unfortunately, these earbuds aren’t great at sealing noise, so there is a small amount of external sound that leaks in. Despite this, we wholeheartedly recommend them to anyone who games for long periods of time. 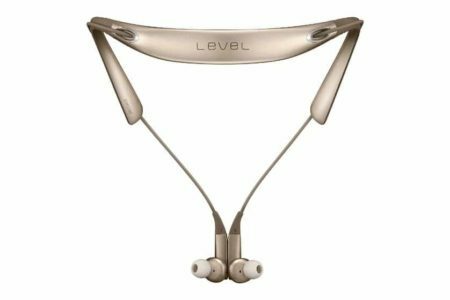 Next up are the Samsung Level U Pros. 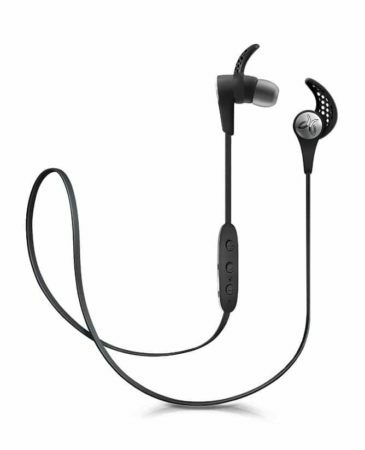 What’s particularly interesting about these is that the earbuds are magnetized and can stick to the headband when not in use. These headphones favour the high ranges, actually boosting them ever so slightly. The bass is solid too, and never overpowers the mid-range, which is great. If you’re a fan of bass-heavy tracks, you might find these a little underwhelming, but all in all, we were pretty impressed. How’s the customization? Well, this next point is only really relevant if you like to game on an Android device, but you can download the free Level U app to further enhance the experience. This allows you to monitor the volume and use an equalizer to push the treble back a bit if you’d like. A full charge offers around nine hours of usage, which is decent, if not exceptional. Lastly, we have the Jaybird X3. These are designed for athletes, but there are a few features that make them great for gaming as well. Firstly, there are earwings to help keep them secure. There’s also a cable shortener attached the headband so that you can minimize the risk of tangling. Good news for music fans! These earbuds emphasize the lows and highs. This does mean that the mid-ranges can sometimes seem a little weak in comparison but for bass or vocal-heavy situations (like ingame), these work very well. For around $130, the Jaybird X3s are very good, and rarely suffer from disconnection – a common problem for wireless earbuds. There’s also an optional mobile app for iOs and Android that allows you to use an equalizer. We liked that this saved your last used sound profile – it’s as simple as finding the balance you like and getting right into the action. 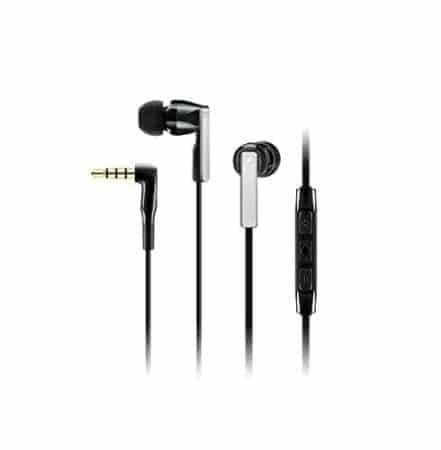 All of the above earbuds come with a built-in microphone, but they’re all fairly standard. The real focus here is on their wireless connectivity, not the microphone itself, and as a result, this is to be expected. If you’ve got a little more room in your budget, you probably already know that you don’t have to settle for some of the lower cost products we’ve recommended this far. Instead, why not buy a pair of earbuds that provide the best audio quality possible? We have two high-quality recommendations for you, and we’re sure that either of them would be a great fit, pun intended. 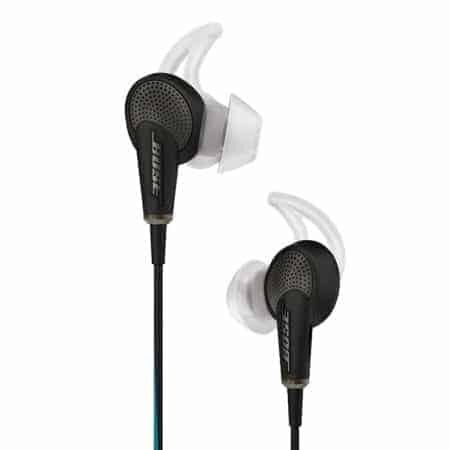 The first of our premium picks are the Bose QuietComfort 20s. Bose are known for making fantastic headphones and these earbuds are no exception. They have noise-cancelling technology built in so you can game in the noisiest of environments and still hear what’s happening very clearly. Of course, if you do this, the sound quality suffers and that’d be a real shame considering how good these earbuds sound. They emphasize all frequencies equally. Rather than muddying the audio, these earbuds make each range shine through clearly. What does this mean? 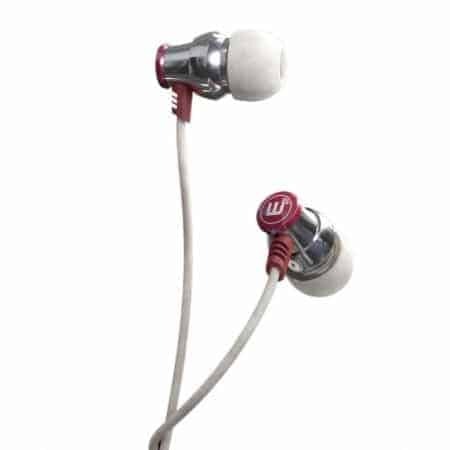 Essentially, you can experience sharp, clear treble at the same time as pounding bass and not feel overwhelmed – a rare occurrence with in-ear headphones. They have a great battery life as well; a two-hour charge provides up to 16 hours of use, and there’s even an “Aware mode” that limits the effect of the noise cancellation so that you can talk to people around you. 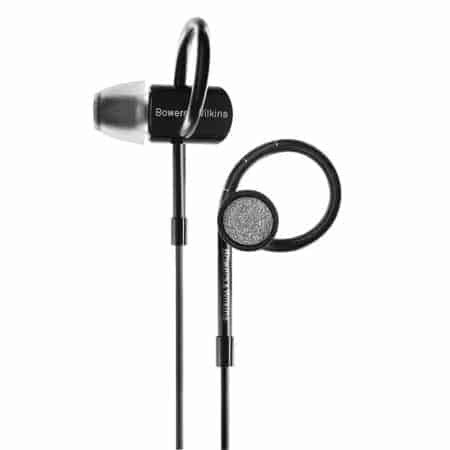 Next up, we have the Bowers & Wilkins C5 Series 2 earbuds. These retail for around $150, so they’re not going to be for everyone. Those who can afford them will find them to be exquisite, though: the Series 2 are far clearer than the original C5s, and those were already great. They have a pretty wide soundstage and while they aren’t surround sound, they really give you a sense of presence amongst the audio. 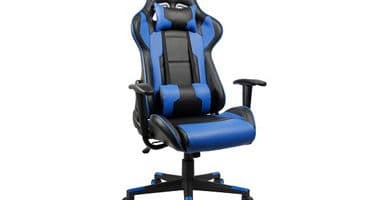 This makes them an excellent choice for gaming, particularly in shooters or role-playing games. These earbuds come with loops to keep them attached at all times, but as they weren’t created with sports in mind, they aren’t sweat proof. So for gaming, they’re almost perfect – what about music? Well, because they focus on providing very clear sound, they can make older, lower-quality recordings sound worse, so bear this in mind if you’re a fan of vintage music. 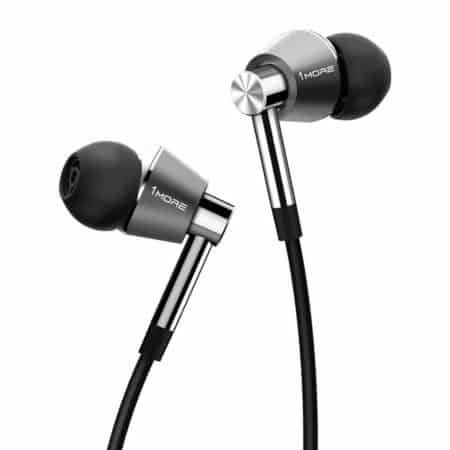 With premium earbuds, most of the additional cost goes into creating a higher-quality balance of sound. As such, while both of these models do have an attached microphone, they aren’t fantastic. Don’t get us wrong, they’ll do the job, but you’ll see little improvement over the microphone on a $30 pair of earbuds. All of the earbuds we’ve seen up to this point have been fairly specialized. Sometimes you just want the best product in a given price point, and that’s what this section covers. We’ve found three pairs of earbuds that provide solid audio performance in three different price brackets. Let’s begin with the Focal Sphears. 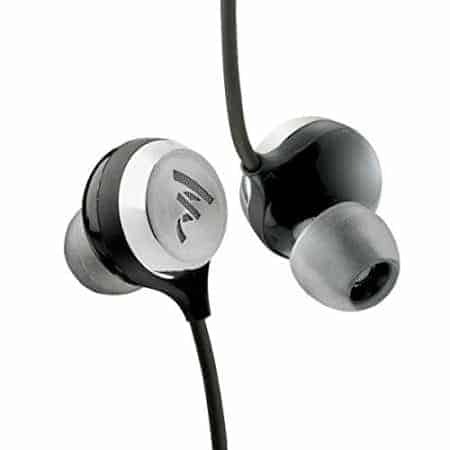 These cost around $90 and have a snug, in-ear design complemented by a sleek black and silver stainless steel build. These earbuds produce a very bright sound, with punchy bass and crisp treble. They keep audio fairly level across all ranges, but this does mean that aggressive tracks can come across a little weaker than you might expect. They have pretty good sound isolation, and come with an extra set of foam earbud tips that helps to improve this. Unfortunately, though, even with a tight fight, they don’t completely block out external sounds. The microphone is hidden in the center of the Focal logo, so it’s nice and discreet. It works relatively well, with little distortion, however as an inline earbud mic, it’s still a far cry from the quality of a dedicated microphone. 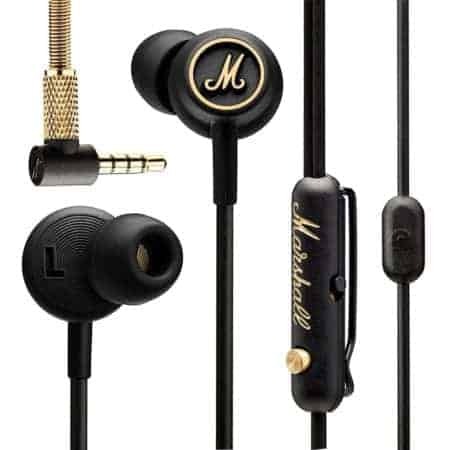 The Marshall Mode EQ earbuds are priced at around $65 and offer that audiophile-level sound that Marshall has built its reputation on. By the way, there are two preset EQ settings to choose from; one which emphasizes bass, the other treble. Honestly, you might be better off using a software-based equalizer though, since these sometimes go a little too far. They have a real sense of place, however. Instruments are neatly separated – although these aren’t virtual surround sound earbuds, they provide one of the best stereo experiences available. 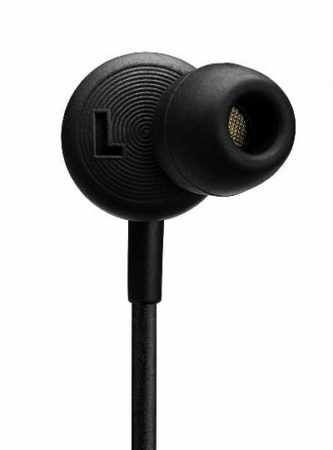 These earbuds are comfortable to wear for extended periods of time, and the 3.5mm jack has an L-shaped connector to minimize the risk of damage. The overall design of this model is attractive, but feels a little cheap due to its plastic construction. If nothing else, they look great with their black and gold color scheme. Lastly we have the HiFiMan RE-400. Priced at around $50, these offer clear, audiophile-level sound on a mid-range budget. How do they manage this? Simply put, these don’t emphasize any ranges over any other: they just make whatever’s playing sound smoother and more natural. They do a great job at blocking outside noise to further enhance this and allow you to fully appreciate the music. The bass is a little weak, however, so if you’re into bass-heavy music, these might not be the best choice. There is one downside: these earbuds don’t have any kind of inline controls or microphone. This means that they’d be best paired with a dedicated microphone when gaming. Thankfully, you can buy attachable microphones like the ModMic to counteract this. The RE-400s do a fantastic job at letting you know where certain sounds are coming from – this becomes very obvious when listening to orchestral scores or listening to music recorded in a location that echoes. For under $60, these are some of the best earbuds around, period. 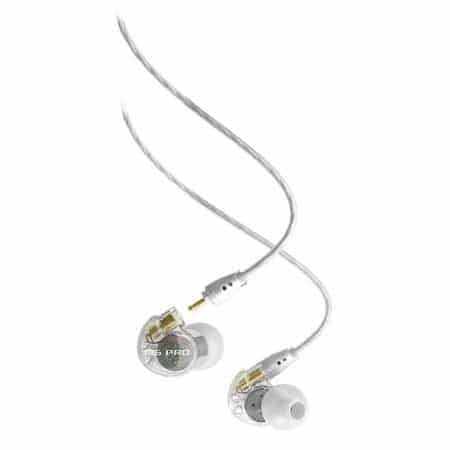 If you’re looking for something that can keep the rest of the world out and your music in, you might be suited towards in-ear monitors. 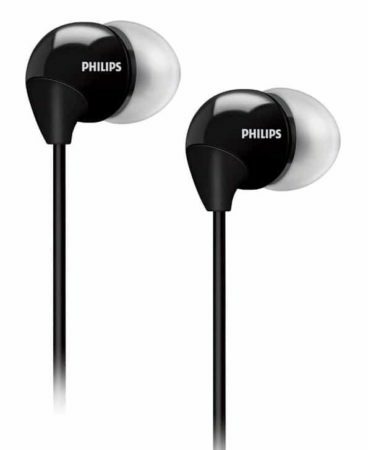 These are similar to standard earbuds except they tend to sit further inside the ear. They usually provide higher audio quality too, because they’re more expensive and marketed towards audio professionals. For the best performance, these can be paired with a portable amplifier, however this isn’t always necessary. Let’s take a look at the M6 PROs. These retail for around $50 and have a distinctive transparent design. The sound profile on these monitors is geared towards the top end – vocals and instruments come across loud and clear, but that’s not to say that the bass is lacking. Quite the opposite, in fact. Rather, it’s punchy and tight. The M6 PROs offer a balanced profile and audio quality that is exceptional for the price. Don’t get us wrong: these are unlikely to stand up to more expensive in-ear monitors, but for people on a budget, they’re a great starting point. They’re comfortable to wear, block external noise very well and have minimal amplification requirements. We liked their bright audio, but if you find it disagreeable, you might want to customize the sound profile using a software-based equalizer. Next up we have the HF3 from Etymotic Research. The first thing you’ll notice about these earbuds is their flared tips. 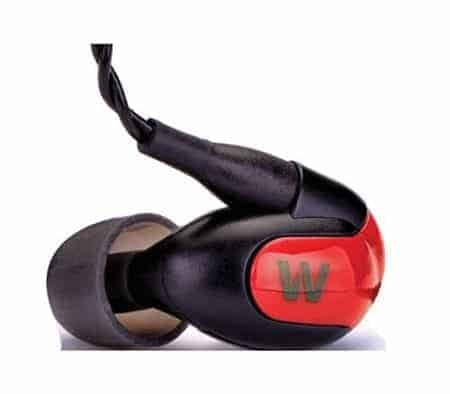 These are designed to give the perfect fit regardless of ear size or shape, and they do a fantastic job at sealing the sound in without being uncomfortable. The thing about this model is that it makes your audio sound very bright and crisp. This is great if you’re listening to clean, high-quality recordings but can make older, vintage-style tracks sound a touch distorted. This isn’t a huge deal if you’re using them for gaming, but it can be a problem if you like your earbuds to be versatile. So how are the controls? There’s a three-button remote high up on the left cable, and as a result, the microphone is much closer to your mouth than with most other earbuds on the market. This, at least, makes it an excellent choice for gamers. 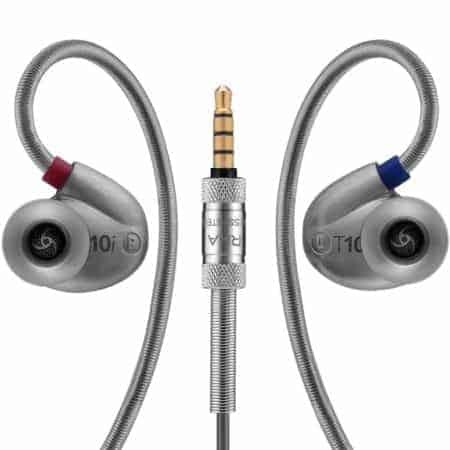 We also liked the RHA T10i. These are around $200, so we expected premium performance and thankfully, weren’t disappointed. These have flexible metal ear hooks to keep them in place and even though they’re made of metal, they weren’t so heavy as to be uncomfortable. As far as sound quality goes, the T10i focuses heavily on the lower frequencies. Music fans are in for a treat with these. Bass is heavy, pounding, and imposing. This is fantastic and really helps immerse you in the action, but even with the treble-focused EQ setting, the bass is a little much. If your device has a treble boost, you’ll probably want to turn that on. The inline controls and microphone are decent, if unexceptional. These controls are designed for use on Apple devices, so you might find that some of the functionality is lost when using a different platform like Android. Regardless, these monitors are powerful and well worth their high price. How many pairs of earbuds have you broken in the past? We bet it’s at least a few. It’s not your fault, though: even if you’re really careful, over time, jacks get broken, cables fray and the sound drops out in one bud. To help you out, we’ve gathered three of the most durable sets of earbuds on the market. 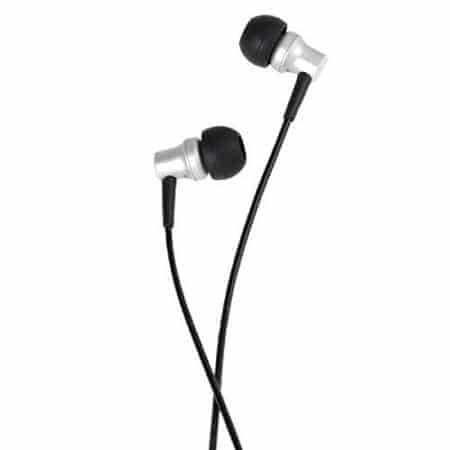 Because these buds are a little more expensive, you can also look forward to higher than average audio quality. 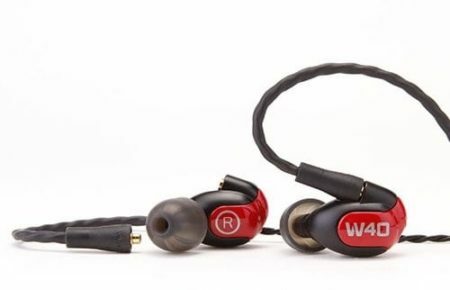 The Westone W40s are made of hard plastic. 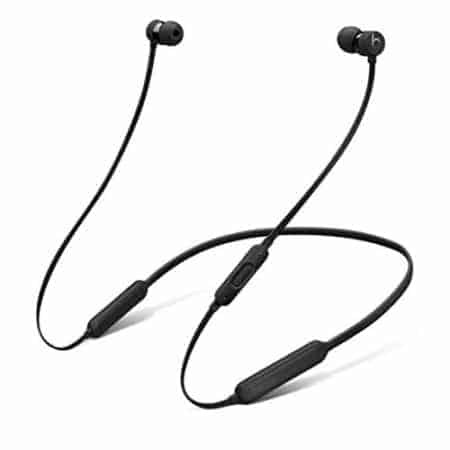 This not only makes them shock resistant, but it keeps the overall weight down too. This means that they’re very comfortable to wear, even after several hours of use. Great! What about the audio performance, though? As far as sound goes, these are more focused towards the lower frequencies. The bass is powerful and detailed while the treble is fairly clear, with only minor deterioration at the top end. If these earbuds have a weakness, it’s their mid-range performance. While not bad, these frequencies lack the urgency of the others. These earbuds would be fantastic for bass lovers or people who plays games that heavily rely on bass to set the mood. First person shooters, for instance, are excellent when paired with the W40s – every gunshot and explosion is given the oomph it deserves. If you’re looking for earbuds primarily for music, these might not be the best choice, but for gaming, they’re excellent. 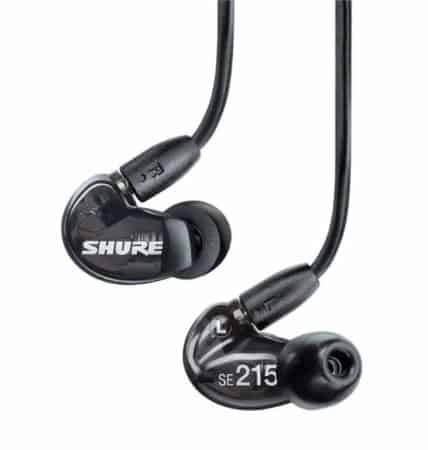 The Shure SE215m+ earbuds are another fantastic choice for gaming. These are a variant of the SE215 series that includes an inline, three button controller and microphone, so it has a little something extra to offer gamers who like to use team chat. These earbuds have managed something that only few of its competitors have. They manages to create a warm, rich sound that has a sense of depth and detail. In short, these earbuds have a sound profile that is usually only found in far more expensive models. For under $100, these are incredible. Combined with the moulded plastic design, earhooks, and Kevlar-reinforced cable, they not only sound great, but they’re incredibly resistant to all of the day to day wear and tear that all earbuds face. 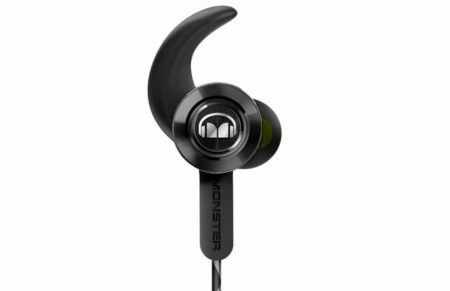 Last but not least, we have the Monster iSport Victory earbuds. 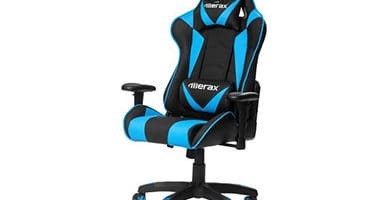 These cost around $75 and are designed for use while working out, but there are a couple of features that make them great for gaming too. For a start, there are earhooks to make sure they stay on when the action gets heated. They also manage to create a very tight seal without being uncomfortable. This ensures that most, if not all, external noise is blocked so you can concentrate on what’s happening ingame. These buds come with two sound profiles. The first, named “Warm up” has an enhanced bass response, whereas the second increases the volume slightly. Both profiles focus primarily on increasing the bass performance, so while they excel in the lower frequencies, mids and treble are less powerful. These have a fairly standard frequency response (20Hz – 20kHz) but surprisingly, this is the widest range of any of our “most durable” picks.